Hatha Yoga School in Rishikesh offers best Yoga Teacher Training in Rishikesh. It can be the one-stop destination for 100 Hour yoga teacher training in Rishikesh | 200 Hour yoga teacher training in Rishikesh | 300 Hour yoga teacher training in Rishikesh | 500 Hour yoga teacher training in Rishikesh for Beginners and Advanced Learners. Yoga teacher training in Rishikesh at Hatha Yoga School Rishikesh is the best destination for those people who want to learn yoga and take their expertise to the next level, or those who wish to spread the awareness about yoga, are highly recommended to pursue such best yoga teacher training in Rishikesh. 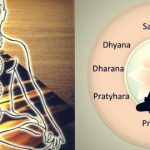 These yoga classes in Rishikesh teach various aspects of yoga and meditation from basic to the most advanced level in an easy and effective way. Special practical sessions are conducted to improve your teaching skills and your personal practice. Hatha Yoga School in Rishikesh is an affiliated yoga ashram with Association of Yoga and Meditation which offers various yoga teacher training courses like 100 hour, 200 hour, 300 hour, 500 hour yoga teacher training in Rishikesh, yoga for beginners, yoga retreat and much more. Hatha Yoga School in Rishikesh provides all level yoga courses like beginners, intermediate and advance level certified by Yoga Alliance USA. Our yoga courses have been delivering the best yoga teacher training programs in Rishikesh. We are enriched with a great number of professionally trained and certified yoga teachers and Indian yoga master. 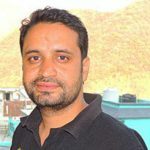 We give whole credits of our reputation as a leading yoga center in Rishikesh to the success of our trainees. Today Hatha Yoga School Rishikesh is known for offering the most demanded internationally certified yoga teacher courses, yoga instructor courses, hatha yoga teacher training, etc. These yoga teacher training course in Rishikesh are meant for teachers who aim to not only grow as successful and confident yoga certified professionals, but also to spread knowledge about yoga over the globe. Thousands of yoga students from more than 100 countries have graduated from our institution having teaching certification India. 100 hour yoga ttc in Rishikesh is one of the best short term yoga course in Rishikesh that helps the students to learn different aspects of Yoga. The students can learn yoga in an easy, systematic manner through this course. Hatha Yoga School includes yoga classes with experience yoga trainers. 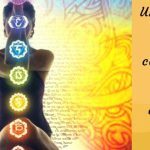 200 hour yoga ttc in Rishikesh is designed to advance your practice and to expertise you with the various techniques of yoga. 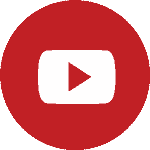 The main motive of the course is to build confidence that helps you to train others. This yoga teacher training in Rishikesh is offered by skilled, professional yoga trainers. 300 hour yoga ttc in Rishikesh is designed to define you as complete yoga instructor. Our Yoga center in Rishikesh provides both theoretical and practical sessions for this training. The prime intention behind the course is to prepare the students for a bright career through superior yoga classes. 500 hour yoga ttc in Rishikesh is designed to help you in learning and teaching yoga that can make you an advanced yoga trainer who can be a source of motivation to their students. 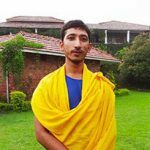 After completing these training, the trainees become motivation for other students trying to get expertise in yoga and spiritual enlightenment. Through our yoga courses in Rishikesh, we offer best yoga teacher training in Rishikesh to ensure comprehensive development of the students. Apart from regular yoga skills, the students are taught to accept various physical and mental challenges. In residential yoga teacher training Rishikesh India, physical practice combined with yoga meditation, mantra, and asana which helps the students to improve physical and psychological strength. Being a leading name for yoga teacher training Rishikesh India our registered yoga instructor provide the best assistance to students of all physical, strength and stretching levels. Individuals with various body types and strengths can enroll in our yoga course in rishikesh. The students learn all the yoga poses, correct body alignment, and learn about benefits of each pose at internationally certified yoga teacher training course in Rishikesh. 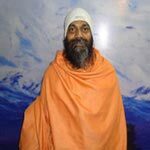 At the same time, we also teach yoga meditation for those who aim for greater spiritual development. The best part about yoga in Rishikesh through certified yoga teacher training in Rishikesh is the way we help them in developing new insight about life and a sense of awareness that makes them true yoga master. This knowledge provides means to live a more familiar living standard and focus on sensible things in life. During yoga teaching certification course in Rishikesh India, our yoga master focus on self-realization through the practice of yoga ethics, yoga lifestyle, and meditation. No matter you wish to join reputed institutes for yoga training in Rishikesh as to learn yoga for self-development or want to become a yoga instructor, our yoga center in Rishikesh can help you in all manners. After completing the best yoga teacher training programs in Rishikesh,India at Hatha Yoga School Rishikesh, you can start your own yoga school, discover new students and earn success. 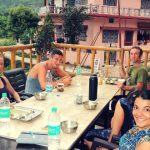 The best part about our yoga classes in Rishikesh is that the students here can explore and stay connected with leading yoga communities. Such networks are very crucial for those who want to build a career in yoga. This yoga center in Rishikesh is extended by the trainers when they train others after successful Hatha Yoga Teacher Training. We provide the most valuable Yoga Teacher Certification in Rishikesh,India that can help you professionally in being the true yoga instructor worldwide. The opportunities are countless with our residential Hatha Yoga Teacher Training in Rishikesh. We encourage the dedicated students to develop their teaching style through teaching practice with group yoga classes in Rishikesh. Not only known as best yoga teacher training school but also we are known for our high-end residential facilities. Supply of hot and cold water in the bathrooms 24*7. We provide the most comfortable bedding, blankets, mattress, sheets and pillow to the students. There is all-inclusive laundry service available with us. In fact, students are not allowed to wash clothes inside the premises. The refrigeration facility is available to stock up medications and other allowed things. Alcohol and other banned things are not allowed to keep with you inside the hostel or practice hall. Fast WI-FI connectivity is available throughout the premises. Cooled and UV filtered drinking water is supplied 24 x 7. Students are served Indian Vegetarian food 3 times in a day. In addition, the students are offered herbal and Indian Masala Tea 3 times daily. Herbal and Indian Masala Tea 3 times daily. For amusement purpose, we offer sightseeing tours to top attractions in the city with local Guide during their tenure of yoga instructor course. Yoga teacher training in Rishikesh at Hatha Yoga School is a program which is designed for those students who want to learn yoga in rishikesh and be a professional teacher internationally. It can be the best way for someone who wants to develop in-depth knowledge about yoga art and meditation. To become the yoga instructor, a person needs to gain knowledge of many yoga styles, teaching methods, and yoga techniques. Our yoga teacher training certification in Rishikesh India at Hatha Yoga School provide all the component taught in Ashtanga yoga training or Hatha yoga teacher training in rishikesh. The certified instructor training course at our yoga center in rishikesh will help you to develop a perfect sense of learning of this ancient yoga discipline. 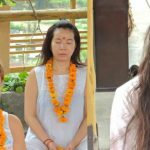 Besides yoga philosophy, the students will be taught asana, pranayama meditation, and chanting, along with shat karma or cleansing by our highly trained instructors at our yoga courses in rishikesh india. If you are a beginner and wish to be a professional yoga instructor, joining our center for yoga ttc in Rishikesh, India would be the best recommendation. 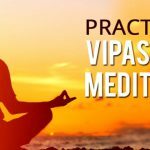 Here you can learn all beginner to advanced forms of yoga and meditation techniques along with different yoga poses, asanas, etc. At Hatha Yoga School we have the perfect environment that encourages the yoga learning process. Any beginner who wants to practice further can join 200 hour yoga teacher training in Rishikesh Or intermediate and advanced levels of yoga training offered by RYS 200, RYS 300 Hatha Yoga School Rishikesh. Yoga training courses in rishikesh for beginners will be an excellent way to begin the journey of yoga to gain the strong foundation of yoga from the starting. Beginner Yoga is beneficial for the promotion of positive health and prevention of psychosomatic ailments through the intervention of yoga therapy techniques taught under residential yoga training programmes.